Cembrit Patina (Cembonit) Fiber Reinforced Cement Composite Building Panels - Foundry Service & Supplies, Inc.
Cembrit Patina (formerly Cembonit) has a natural, textured surface. You can see the fibre and natural characteristics of the raw materials, and you can see and feel the sanding lines on the surface. As the seasons change and the years pass, the natural ageing of the fibre cement leaves subtle traces on the surface, and the facade will gradually acquire a distinctive patina. 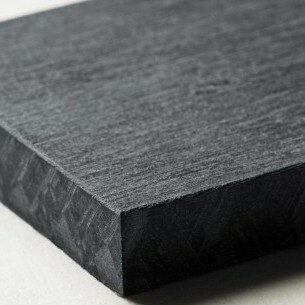 Patina is a strong, weather-proof cladding board characterized by its muted, matte finish. During manufacturing, the through-colored board receives a unique surface treatment which makes it powerfully resistant towards water staining, ensuring a long-lasting and durable facade. Cembrit Patina comes in 11 subtle colors. The natural authenticity of the Cembrit Patina board is expressed through the slight color variations in the surface, imbuing your facade with the play of light and nuances you associate with any natural building material. Over time, these natural variations may develop further aesthetic surface patinates.